These three-panel and four-panel elastic surgical binders provide support and compression to abdominal muscles weakened by strain without restricting breathing or muscle redevelopment. The is avaliable in a three-panel (9" height) or a four-panel (12" height) design and can be worn inconspicuously under most clothing. Color: White. 3 Circumferences Available: 3 1/2", 5", or 7"
This Arm Band provides the ideal in therapeutic support - conforming compression without restricting circulation. Use this support to treat common injuries like Tennis or Golfer's Elbow. Provides relief from Arthritis, Carpal Tunnel Syndrome, strains and pains. Unique GelCell can be cooled or heated for therapy on acute and chronic injuries. One size fits most. Avaliable in Black and Beige. The was designed to protect the heel by significantly reducing weight-bearing pressure. This patented design has a locking ankle strap for secure and safe ambulation. The HeelWedge™ is ideal for the treatment of plantar fasciitis, ulcerations, infections, trauma and following surgery of the soft tissue or bony structure of the heel. Soft Form Herina Belt- The traditional over-the-brief style of support, worn inconspicuously under clothing. 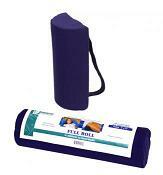 Helps relieve pain, discomfort and stiffness in back, leg, hip and knee areas. 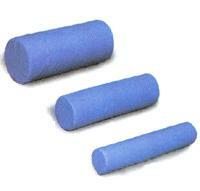 Unique foam design provides proper alignment and enhances circulation. Adjustable Velcro® style closure keeps pillow in place. Removable, machine washable polyester/cotton cover. Two-panel surgical rib belts help stabilize rib and sternum fractures by limiting expansion through compression. Rib belts also provide support and compression to the muscles and soft tissues of the rib cage weakened by strain, trauma, overuse, inactivity, or surgery. The Woman's style is contoured around the bustline for a more conformed fit. With a 6" height, these rib belts can be worn under most clothing. Available in Men and Women sizes. Use this lightweight neoprene knee brace for swollen or tender knees resulting from sprains, strains, sport injuries, arthritis or post-operative rehabilitation. Made of lightweight neoprene with a soft nylon loop lining for consistent compression and therapeutic warmth. The inferior horseshoe provides support for patellar tracking problems. The lightweight composite hinges allow for flexion while limiting medial/lateral movement and preventing hyperextension. Sizes S,M,L,XL and XXl. Color avaliable Beige.